Described as a "helper" application, Bonzi Buddy delivered contextual ads to your PC, basically after collecting information from you. Its passing has not been mourned. As reader Randy J put it to us: "I used to do support for one of the big ISPs. 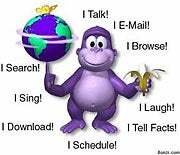 Bonzi Buddy was one to remember. I once used a computer with it on there. It kept popping up and obscuring things you needed to see. I had to uninstall it from many, many people's systems." Gwendolyn would like to be added as one of your friends. Brittany would like to be added as one of your friends. Latisha would like you to view her free adult video, which incidentally will download spyware to your hard drive. Sure, the biggest Web sites always attract scammers (see eBay), but they don't have to make it easy. MySpace's minimal barriers to entry make it a haven for bogus "friends." It's one of the unwritten laws of computing: All versions of Windows are annoying. Vista wins a prize in part because of its overzealous "Cancel or Continue?" confirmation windows so brilliantly lampooned by Apple's "I'm a Mac, I'm a PC" commercials. But that's only the tip of the Vista annoyance iceberg. Installing Vista onto an older system? There's a good chance that your graphics card, sound card, and some of your older software won't work properly. And even if you have a new system with either the Premium or Ultimate version installed, Vista won't display its nifty 3D Aero interface if your PC lacks the graphics horsepower for it. No warning screens, no error messages, no explanations--Aero simply doesn't work. That's annoying. Harmonic7 says: Good list. Got my personal top three (RealPlayer, QuickTime, and Norton). Glad to see Vista included. I'm bound to get disagreement on this, but I really don't think Me is that bad an OS--I've worked on both 98 SE and Me, and can see very little difference between them. Also, I worked on a friend's Me that was totally infested with malware and had Microsoft components missing when he got it. Fixed it up (he didn't want to reinstall), and it worked flawlessly in spite of his reckless OS hacking, until it finally crashed four years later when one of those missing components was called. Reinstalled the OS, and it's been working fine again for the last year or more! In any case, I wouldn't be at all surprised if, in a few years, Vista replaces Me as the most hated OS of all time (just sayin'). rkinne01 says: I do not agree with Vista being on this list. Vista has only been out for a few months; give it a chance before you trash it. Many of the problems that I have seen posted are generally easily solved or are errors caused by people who have no experience installing OSs. I think that at this point in its existence Vista is in a lot better shape than XP. 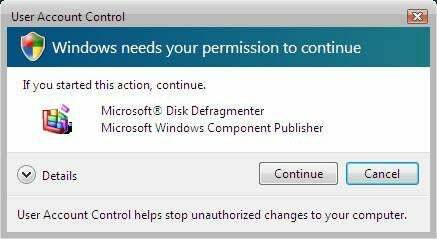 I personally didn't see why everyone is so put off by the UAC; screen pops, you push a button, you're done. What's so bad about that? The way people carry on, you'd think UAC took an hour to complete per task. Vista is coming along very nicely. More and more apps are becoming compatible all the time, as are more drivers (come on, HP and nVidia, get with it). I am using Vista now and could not imagine using XP full-time again; XP has always felt rough around the edges to me. Vista looks and feels smoother than XP ever did, and is clearly more secure. Yes, we know, our computers would be even more vulnerable if we didn't use Update to plug Windows' seemingly endless security holes. 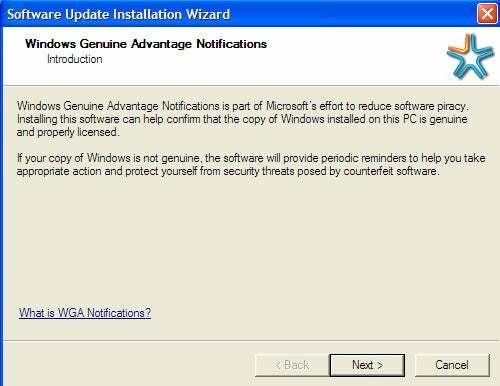 But using it to distribute Microsoft's Windows Genuine Advantage tattleware puts Update firmly in the annoyance column (not to mention the way it autorestarts your system after it's done installing). Delivered as a "critical" update last spring, WGA installed itself with minimal notice, secretly phoned home with information about users' systems, and wrongly identified possibly millions of legitimate copies of Windows XP as pirated. What is it about media players that makes them think they own your PC? Install QuickTime, and it immediately sets up camp in your Windows system tray, drops icons on your desktop, and loads the qttask.exe applet every time you power up--no questions asked. You can kick it out of the tray, but the next time you upgrade or reinstall the program, it sneaks back in. Worse, if you want to use iTunes, you have to take QuickTime along with it. Plenty of programs are looking for a home in your system tray, but most of them ask politely first.